Adding Video to your blog or website is almost essential in today’s market place. Really, it doesn’t matter what industry you are in… video is everywhere, and if you want to effectively market your product or service, this is a skill that you’re going to want to learn. It’s the most powerful marketing and communication medium that we have online… And the most effective. When you master video, it increases your conversions, helps you build automated relationships, drives you automated traffic, and solidifies your online presence and brand online. And, I want to help you do just that! 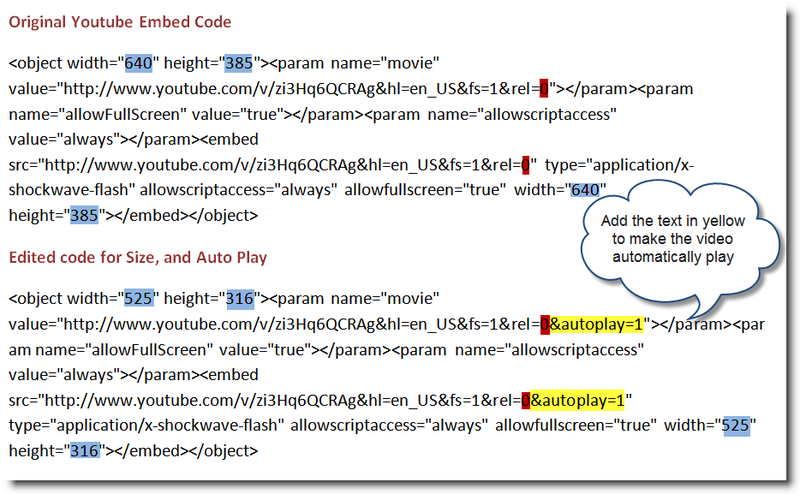 Once the video has loaded, copy the embed code. Go to Plugins > Add New and Search For Viper’s Video Quicktags. Then, Install and activate. So, what did you think? Was this video helpful to you? Any additional video tips that you’d like to share? Please leave your comments below. Thanks so much. Awesome – Helped me a lot! Some of it I knew, and some of it was new. Love your step-by-step videos! with all this great content… Keep it going Jon! .-= Benne J. Clark´s last blog ..Start Branding Yourself Online By Building A Solid Blogging Foundation For Professionals =-. I ‘m using blogger.com, does it make any difference ? Thanks! Not sure what I would do without your videos! Very Very Valuable indeed! Thanks a lot! All blessings! took your advice and just watched all your videos. They helped a great deal. I know this site is in raw form and I have no blogging set up yet, but it took me several days to piece the video together, and then get set up on hostgator but now on Sunday afternoon June 27th 2010 I have my site up and live. I will clean it up and upgrade to WOO with more video and then duplicate many different domains and submit my videos and articles with the hope of achieving at least 3 positions on page 1 of google for water damage jacksonville! Thanks for the great info and I look forward to meeting you soon. I’ve been wondering how to do this, Jon. The video is back online and the insert video for your web site was really cool, it helped me finally get the video I wanted on my site. .-= Edwin Cabrera´s last blog ..Hello Blogging and Internet World! =-. always great source of knowledge.